Its historic built environment is set to benefit from a £288,200 award from the Great Place Scheme. The National Lottery’s latest fund is aimed at helping towns use their unique heritage and history to create opportunities for employment, education and income generation. The Fife town’s share could lead to reinvigoration of a building or space, such as the old registry building opposite the original Carnegie Library. Additional funding from Fife Council, Fife Cultural Trust, Dunfermline Carnegie Trust and Dunfermline Delivers will give Dunfermline Heritage Partnership more than £419,000 for the scheme. 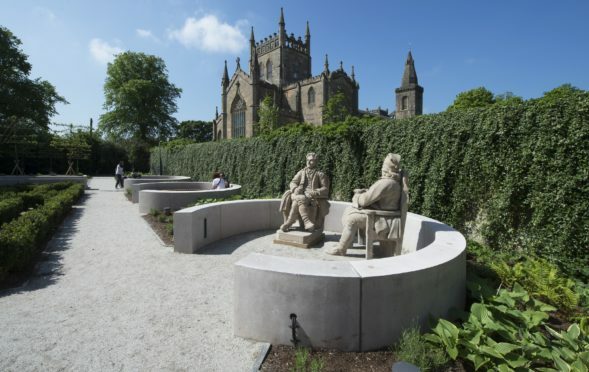 Councillor Helen Law, convener of Fife Council’s City of Dunfermline area committee, said: “In terms of Scotland’s history and heritage, Dunfermline has one of the best stories to tell. This fund will allow us to make improvements to the town which are rooted in that history. Creation of a plan is among several projects proposed to benefit from the funding, and local people have already made suggestions for how the town centre could be used and developed, including demolishing unsightly buildings and creating more green space. An architecture and design practice will be appointed to work with residents to create a survey and plan. Dunfermline Heritage Partnership has secured a further £24,800 from the Scottish Government’s Making Places fund. During the survey of Dunfermline’s spaces and buildings, one project will be chosen to progress to a feasibility study and business plan. Lucy Casot, head of the Heritage Lottery Fund in Scotland, said: “You can’t imagine Dunfermline without its abbey. “Heritage and culture gives the place a unique identity and makes it special for the people that live there.